An explosion in front of a church in the upper Egyptian city of Minya took place on Saturday, Aswat Masriya reported. No injuries have been reported, and the church is also reportedly undamaged, although a car parked near the area was destroyed. The church, Minya Al-Amir Tadros Coptic Orthodox church, is also near Minya's security directorate. Eyewitnesses told Aswat Masriya that they heard a loud explosion and said the sound came from underneath the car, which was parked metres away from the church. Initial reports suggest the explosion was caused by two improvised explosive devices. The head of the criminal investigative unit in Minya, Hesham Nasr, has said it is still unclear whether the yet-to-be identified car owner was involved in the bombing. Nasr added that security forces had cordoned the area off for further investigation. 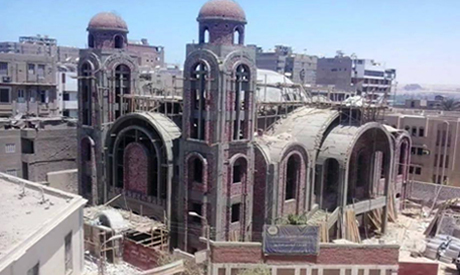 Al-Amir Tadros Orthodox Church is currently being renovated after it was ransacked by pro-Muslim Brotherhood supporters last year following the violent dispersal of two pro-Muslim Brotherhood vigils in Cairo and Giza. There has been a rise in militant attacks since the ouster of Morsi in July 2013. Although most have taken place in Sinai, where police and army personnel are targeted on almost daily bases, there have been deadly bombings in Cairo and the Nile Delta.